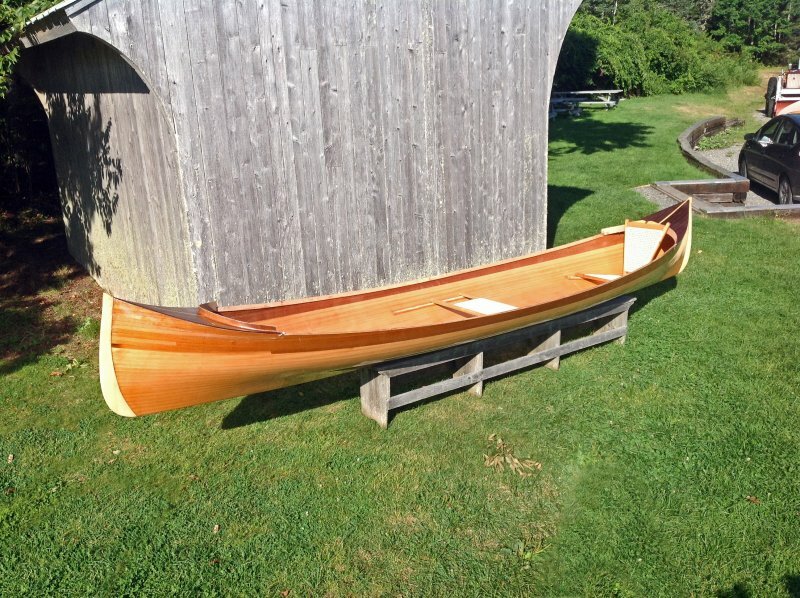 The Adirondack Guide Boat is known to be a fast and easy rowing boat. While it tends to be tippy, this is a result of what makes it fast, its narrow waterline. The distinct flare gives it strong secondary stability. It was originally developed in the Adirondack region of upstate New York where guides would bring customers out onto the lakes to fish and hunt. In order to get to the prime fishing spots before other competing guides, the boats have to be fast and efficient when rowed. The boats also needed to be light weight and easy to carry to cope with the many portages between lakes. I developed these plans based on the Grant boat offsets in Kenneth and Helen Durant’s book: Adirondack Guide-Boat. I modified the design slightly to include the characteristic re-curved stems common on many guide boats.